Intrinsically-safe | Magnum Electronics, Inc.
Unication announced their first quarter promotion today for the first quarter of 2019. 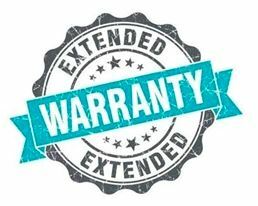 Customers purchasing 10 or more G-Series voice pagers on a single invoice will receive a complimentary 3 year extended warranty. All G1, G4, and G5 models are eligible. This provides a full 5 year parts and labor warranty and is valid until 3/31/19. Unication USA announced new promotions for the G1, G4, and G5 voice pagers for Q4 and are valid until 12/21/18. New orders with a quantity of 20+ pagers will receive a complimentary 3 year warranty extension for each pager. The 5 year warranty (total) is offered by Unication for any G1|G4|G5 AND can be combined with other Q4 promotions below. The warranty option is automatically added by Unication when invoiced. All G1 pager voice pager models have been reduced by $50 until 12/21/18. There is no minimum quantity to purchase and it can be combined with the FREE Extended Warranty Promo if you purchase 20 or more on a single invoice. This is the best promotion by Unication ever announced. Q4 2018- G5 Same Price As G4 Promotion – $100 Savings! Until 12/21/2018, you can order a G5 dual band P25 voice pager for the same price as the G4 pager. This represents a $100 discount per pager and makes it easier to transition your firefighter, ems, or emergency paging alerts to a 700/800 MHz P25 System. This promo can also be combined with the FREE Extended Warranty Promo when you order 20+ at one time. This represents an additional savings of $2,580 or more. 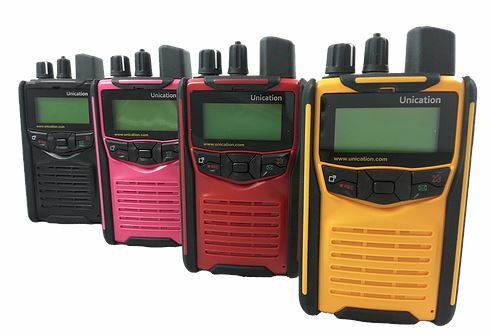 September is a good time to upgrade your VHF, UHF, or lowband voice pager with Unication’s G1 Trade-in Promotion. For each new G1 purchased a $75 credit will be issued by Unication for your old working G1, Minitor V, or VI. There is no minimum quantity to order and you have 30 days to return the trade-ins. Hurry…their promotion ends on 9/30/18. Unication has introduced the G-Series with advanced functionality and a more rugged design. The G1’s are available in black, red, yellow, and pink with either a standard desktop or amplified charger with antenna. The chargers are smart enough to know if the batteries are not rechargeable and will shut down to prevent damage. The pager will survive under 3 feet of water for 30 minutes (IP67) and carries a UL intrinsically-safe rating. It has internal Bluetooth and will pair with any standard headset. A backlit display helps with selecting up to 64 programmable channels and replaying voice calls. You can also store up to 11 minutes of your own voice notes. We have working Unication G1 demos and carry the entire line of accessories. Call our office in Dover, Delaware at 302-734-9250 M-F 8-5pm EST for a formal quote or visit our web store for more info about Unication paging products. We also can help with the G4 P25 700/800 MHz and the G5 dual band P25 pagers. 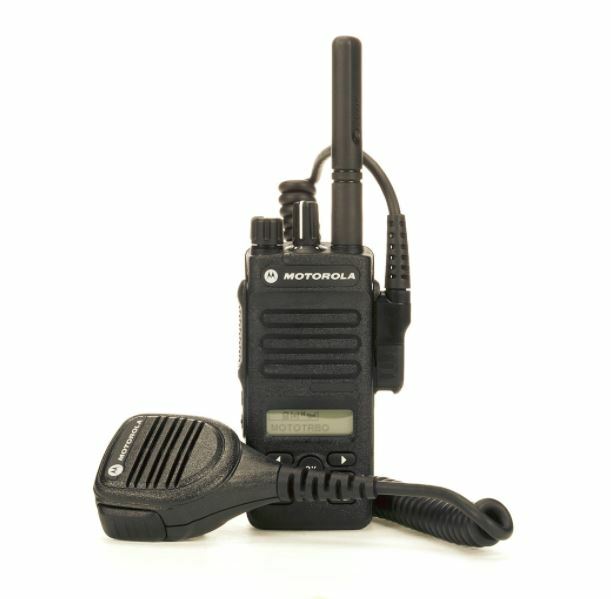 Radio users who need maximum talk time will benefit from Motorola’s new low voltage IMPRES technology. The MOTOTRBO enhanced models (XPR 3300e, XPR 3500e, XPR 7350e, XPR 7550e, XPR 7580e) will provide up to 28 hours on a single battery charge. The new batteries are similar in size and use IMPRES chargers. The PMNN4493 is the best choice if you have either XPR 3000e or XPR 7000e and a mix of the older “non-e” models. New enhanced radios are rated at 28 hours in digital mode or 21 hours if still on analog. The battery is compatible with legacy models but at a reduced rating of 18 hours in digital and 13.5 hours when using analog. A recent addition to our managed service offerings is the Motorola UHF XPR 3500e intrinsically-safe two-way radio certified for use in hazardous atmospheres. Hazardous locations are found in many industries including refineries, fuel storage facilities, plastics processing plants, chemical plants, and grain elevators. Contractors, subcontractors, and anyone working a HazLoc job can now rent, lease-purchase, or buy their radios. 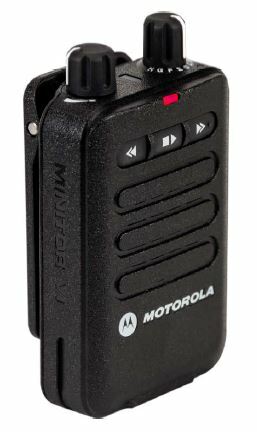 Our rental radio packages include two Motorola UL-Approved PMNN4490 intrinsically-safe batteries, Motorola PMMN4071 UL-Approved remote speaker-microphone, and XPR 3500e hand-held radios UL-Approved to TIA-4950 for use in Hazardous Locations, Division 1, Class I, II, III, Groups C,D,E, F, G; Division 2, Class 1, Groups A,B,C,D,T3C. Tamb = -25°C to +60 °C. 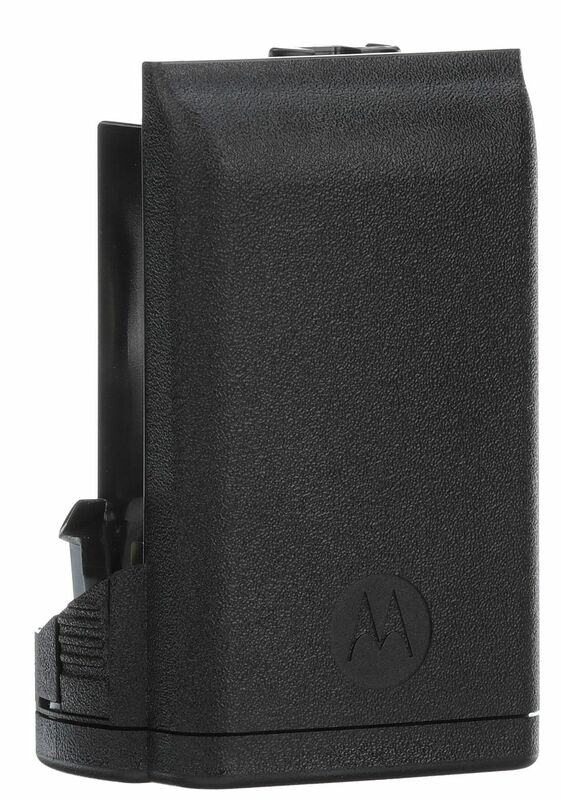 We include a Motorola IMPRES charger that automatically conditions the batteries for peak performance. 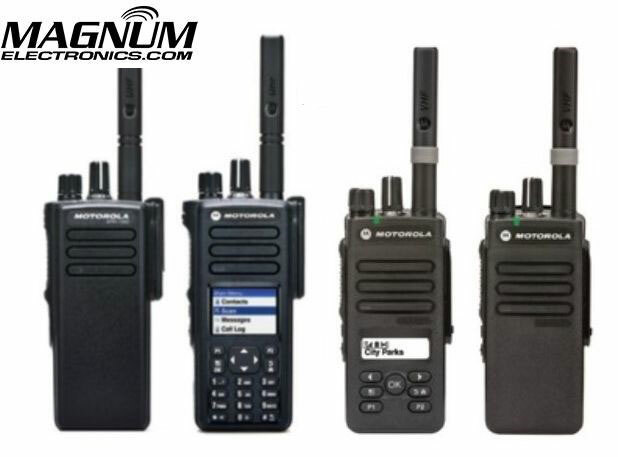 Our rental radio is also capable of operating on a Motorola Capacity Plus trunking system if needed. The XPR 3500e can handle up to 128 channels and includes a 2-line display for easier operation. Our optional channel announcement feature allows the user to hear the actual channel names without having to look at the display. Frequencies can be programmed with analog channels, DMR digital, or both depending on your requirements. Increase profitability and worker safety by improving jobsite communications. Rentals are available by the week, month, and longer. For pricing and availability contact our Dover, Delaware office at 302-734-9250 M-F 8-5pm EST or use the form below. If you have been waiting for a low cost intrinsically-safe digital DMR radio that is certified for use in Class I, II, III, Division 1; Groups C,D,E,F,G; Temp T3C hazardous locations, Vertex Standard has the solution. 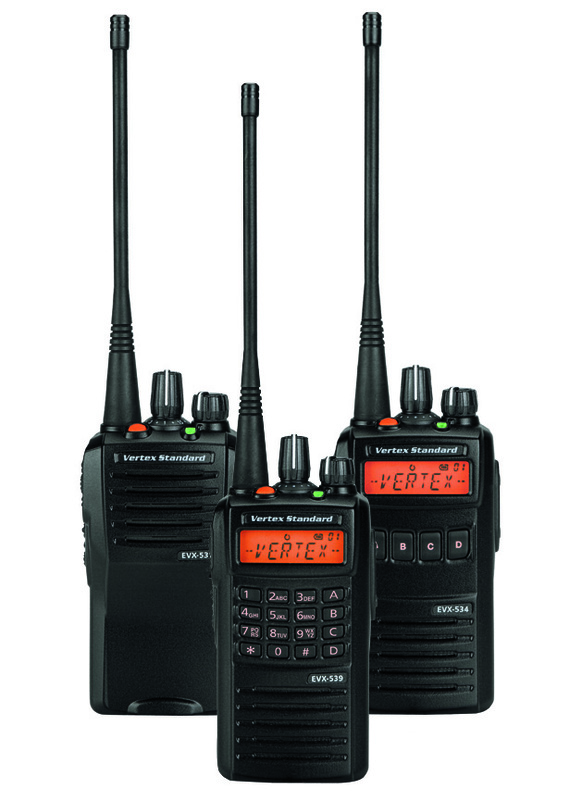 New EVX-530 IS models are now available in VHF or UHF with analog and DMR Digital Tier 2 TDMA. 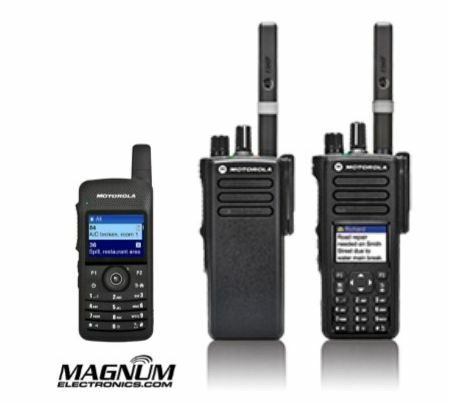 The new models including the EVX-539 with display and full keypad are priced under $500. 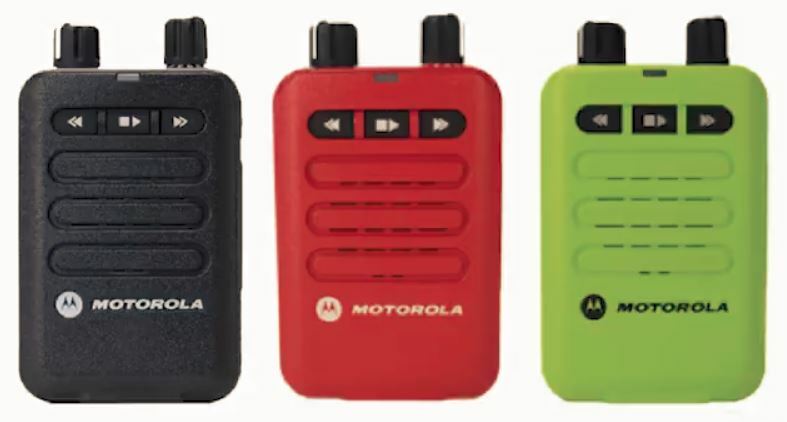 Motorola Minitor VI – Buy the Intrinsically-safe Model or Not? 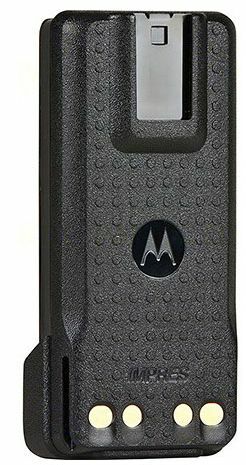 With the introduction of the Motorola Solutions Minitor VI fire pager, you now have the choice between a UL certified intrinsically-safe model or one that does not have the certification. Intrinsically-safe electronic equipment can be used in hazardous atmospheres with dangerous concentrations of flammable gases or dust. Non-intrinsically-safe electronic devices could cause an explosion by creating a spark or excessive heat. Should I Order an Intrinsically-Safe Minitor VI? Unless your fire department has a formal intrinsic safety program, you probably should save the $50 and buy the non-intrinsically-safe model. Another way to determine if you need IS is to check your radio for the FM Certification label. If your radio is not IS then your Minitor VI should not need the certification.